Are you an experienced leader in health and social care? Could you build an influential network that helps us to implement our guidance? NICE Fellows are experienced leaders from the field of health and social care who are our ambassadors at regional and national levels. Applications for 2019 have now closed. You can register your interest for 2020. Act as our UK-wide ambassadors for 3 years. Support and maintain the connection between NICE and health and social care experts. Engage with senior staff at NICE and in the health and social care sector. Help us improve and promote the quality of health and social care. Develop new ways of working in health and social care. You'll be supported in your role through a series of workshops and access to an adviser. The fellowship also provides access to the expertise of our staff. You'll be expected to spend around 7.5 hours per month on fellowship activities. Fellowships are unpaid and you must agree your application with your employer. Travel and subsistence will be paid. influential individuals working in the charitable and voluntary sector. We've appointed 2 senior advisers to oversee the programme. They've a wealth of experience in health and social care and in working with NICE. The senior advisers provide expert support to our fellows and act as a key link person between them and NICE. John is a public health physician who works part time for NICE (as a consultant clinical adviser) and part-time at the Nuffield Department of Primary Care Health Sciences, University of Oxford (as associate professor). He is also a visiting professor at Kings College London, and an honorary professor at the University of Manchester. 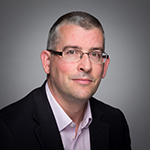 John is an editor of the NIHR Health Technology Assessment series and joint editor-in-chief of the SAGE journal Digital Health. His main interest is in digital health; he also has interests in evidence-based practice, knowledge management and systems improvement in the NHS. 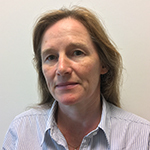 Krysia is the Arthritis Research UK professor of musculoskeletal therapies and has recently completed a National Institute of Health Research (NIHR) Knowledge Mobilisation Research Fellowship. Krysia works as part of an interdisciplinary research team and is the director of the impact accelerator unit at Keele in the School for Primary, Community and Social Care. Krysia led an NIHR funded study to see how best to deliver high quality, primary care for people with osteoarthritis presenting in general practice (MOSAICS). This formed the basis of a NICE Fellowship (2013-2016) and an EIT-Health funded European implementation project (JIGSAW-E). Krysia is a Fellow of the Chartered Society of Physiotherapy. In 2019 Krysia became a visiting professor in the Faculty of Health and Applied Sciences UWE Bristol and an NIHR senior investigator in primary health care. Helen graduated with a BSc (Hons) in Physics with Medical Applications from the University of Newcastle upon Tyne in 1995. She went on to complete her MSc in Medical Physics at the University of Surrey in 1997. She joined the national device evaluation service as a senior physicist in 2001, when it was under the remit of the Medical Devices Agency. 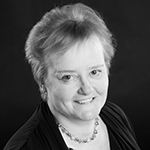 Helen has since worked for, or in collaboration with, national procurement, commissioning and NHS provider organisations, as well as the UK Department of Health. 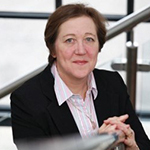 Over the past two decades, Helen has gained extensive understanding of the challenges of adopting innovative medical technologies in the NHS, from policy, clinical, commissioning, procurement and industry perspectives. Helen is a registered clinical scientist with the Health and Care Professions Council and a member of the Institute of Physics and Engineering in Medicine. She was appointed head of service of the NICE External Assessment Centre at the Freeman Hospital, in March 2012. She leads a multidisciplinary team to deliver health technology assessment and research publications that address the clinical effectiveness and cost consequences of adopting innovative medical devices into the NHS. With her NICE fellowship, Helen intends to work with the Academic Health Science Network in the North East and North Cumbria. She wants to demonstrate successful implementation of selected NICE medical technologies guidance, diagnostics guidance or interventional procedures guidance, within the region. She’ll explore the potential for this north east model of “evaluation in practice” to become an exemplar for NICE guidance implementation across the UK. Professor Helen Rostill is a consultant clinical psychologist and board director at Surrey and Borders Partnership NHS Foundation Trust. She has responsibility for strategy, new business, research and development, innovation, information technology strategy and therapies. She is the Trust’s Chief Technology Officer. Helen currently leads mental health programmes in Surrey Heartlands and Frimley Integrated Care Systems. She’s the senior responsible officer for the Technology Integrated Health Management for dementia NHS Test Bed, sponsored by the Department of Health, NHS England, and the Office for Life Sciences. She worked for 10 years as a senior lecturer at the University of Birmingham and has published a wide range of research in national and international peer reviewed journals. Her qualifications include a Doctorate in Clinical Psychology, a Postgraduate Diploma in Strategic Management and Leadership and a BSc (First Class Hons) in Psychology. Helen is visiting professor at the faculty of Health and Medical Sciences at the University of Surrey. Jonathan graduated from St Mary's Hospital Medical School, London in 1992. He trained in orthopaedics in Oxford and was appointed as university lecturer and consultant orthopaedic shoulder and elbow surgeon in 2005. In 2014 he became professor of orthopaedic surgery and musculoskeletal science at the University of Oxford. He works clinically at the Nuffield Orthopaedic Centre, Oxford University Hospitals NHS Trust. His research programme aims to ‘improve orthopaedic patient outcomes and treatment delivery’. This is achieved using research themes that offer a broad range of overlapping collaboration opportunities with national and international academic clinicians and scientists. Jonathan sits on the Executive Council of the British Elbow and Shoulder Society (BESS). He is past chair of their research committee and is now their National Joint Register (NJR), Getting it Right First Time (GIRFT) and Outcomes Lead. He sits on NJR committees including the editorial board and is responsible for authoring the annual report for shoulder replacements. 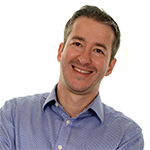 He is a specialist advisor to the NICE interventional procedures committee and to the MHRA. 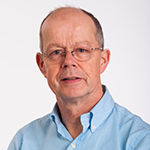 He sits on the european shoulder arthroplasty committee of SECEC (European Shoulder and Elbow Society) and is the Shoulder and Elbow Clinical Lead advising the NHS GIRFT Programme. He plans to use this fellowship to promote to clinicians our existing orthopaedic guidelines and the upcoming joint replacement guidelines. Jonathan plans to work with the Royal College of Surgeons, British Orthopaedic Association, BESS and GIRFT to explore the development of further NICE accredited ‘Best Practice and Commissioning Guidelines’ to help support equal access and standardisation of care for UK patients. 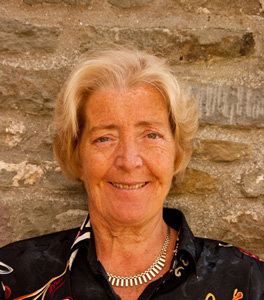 Melanie co-founded Walnut Care in 2002. It is now one of the largest domiciliary care providers in Lincolnshire. As the company’s chief executive officer, Melanie manages a team of over 200 care professionals and coordinates 600,000 care visits every year. A passionate advocate for the provision of home and community care, Melanie has been the chair of the Lincolnshire Care Association since 2016. In this role, she represents a range of small and medium-sized care providers across the county and works with them to improve standards of care. 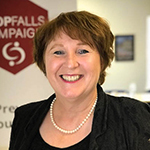 Melanie is also a fellow at Skills for Care and the co-chair of the Care Association Alliance – a national body which brings together representatives of care associations from across the country to engage with health and care officials at the highest level of governance. Under Melanie’s leadership, Walnut Care has followed our guidelines from the beginning to deliver the highest quality evidence-based care for its service users. Melanie hopes to use her position as a fellow to help improve the way in which care providers work and engage with us. Nicola completed her clinical training in 1996 at the Institute of Psychiatry, Psychology & Neuroscience, Kings College London. She retains a position as a visiting teacher on their doctoral course in clinical psychology. Since qualifying, Nicola has spent most of her career working in national and specialist children mental health services at the Maudsley Hospital. Nicola’s clinical and research interests are in the area of child maltreatment, infant mental health, and complex trauma. She has published in peer reviewed journals and presents regularly at national and international conferences. Her current role is lead of the clinical team delivering the New Orleans Intervention Model which is being evaluated as part of a large randomised control trial. Nicola is passionate about improving the outcomes for children who have been maltreated and stopping the intergenerational transmission of abuse. As part of her fellowship, Nicola wants to develop a strategy for infant mental health across her NHS trust with an emphasis on early prevention and intervention for maltreated infants. As a fellow, she wants to promote evidence-based interventions with relevant stakeholders from the infant mental health landscape. This includes working alongside colleagues from the third sector, social care and the judiciary, to increase awareness of both the needs of this population and the availability of appropriate interventions. Peter graduated from the Anglo-European College of Chiropractic in Bournemouth in 1984 and works as a chiropractor in Bath and Wiltshire. 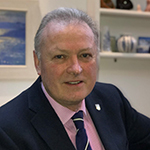 He has been involved in the leadership of his profession all his career; as president of the British Chiropractic Association, the European Chiropractors’ Union and a member and chair of the regulator in the UK, the General Chiropractic Council, for 13 years. He founded, and is now president of, the Royal College of Chiropractors. The Royal College provides peer-reviewed quality standards for the chiropractic profession as well as a comprehensive CPD and mentoring program. It also stimulates and funds on-going research projects and PhD students to improve the evidence base for chiropractic. This is specifically directed at improving the quality of care that patients receive and improving the communication between chiropractors and their colleagues in the wider healthcare community. Peter was on our guideline development group for NG59 concerning the management of chronic low back pain. He has been on our panel of experts for the last 4 years and feels very honoured to be appointed a fellow, a first for the chiropractic profession. He intends to use his ambassadorial role for NICE to improve the understanding and uptake of our guidelines within the musculoskeletal (MSK) community and with stakeholders. Raising the profile of NICE within the chiropractic profession to further enhance communication between the various professional groups involved in treating MSK conditions. Satheesh has been a consultant in psychiatry of intellectual disability for over 15 years. He is currently an inpatient consultant for a specialist learning disability unit. He has held several clinical leadership roles in the last few years, which included being the medical director of a community and mental health trust, clinical director of learning disability service as well as clinical co-chair of clinical leadership group for Sustainability and Transformation Partnership. He has been active in service-oriented research in learning disability and championing the importance of evidence-based approaches in learning disability and mental health. 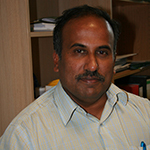 Satheesh is an honorary professor at the College of Life Sciences at the University of Leicester and one of the co-directors of the Leicester Centre for Mental Health Research. He also has a keen interest in the development of services for people with autistic spectrum disorders in India, his country of origin. 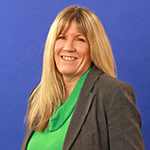 Sharon has been the chief executive of Hertfordshire Care Providers Association (HCPA) for 9 years. She’s has grown the organisation to meet the needs of care providers in the private independent and voluntary sector. A recent case study by The Local Government Association, said, “HCPA has become one of the most well-respected and developed provider associations in the country”. Sharon has focussed on partnership working and building initiatives which raise quality, always with the goal of a win-win outcome for all involved. Sharon comes from a background of practice and teaching in care and leadership and uses these skills to focus minds on taking a learning in practice approach. As a fellow, Sharon will be focussing on education and integration to help embed the use of our guidance and quality standards into practice in Hertfordshire and the eastern region. Her current focus is setting up an online care professional standards academy for social care practitioners, where they can log their continuing professional development and earn credits. This will be a platform for promoting NICE guidance and quality standards on an individual level for care practitioners. In the area of integration, Sharon will be advocating the use of NICE guidance and quality standards to colleagues across both health and social care. Her concentration on prevention around the use of exercise, will ensure that colleagues are sighted on best practice options. Simon is a consultant nurse with Oxford Health NHS Foundation Trust. He’s chair of the Royal College of Nursing’s Learning Disability Nurse Forum, a British Institute of Learning Disabilities Positive Behaviour Support Consultant, a specialist advisor to both NICE and the CQC, and a Queens Nurse. Simon has worked in several NHS community teams in various roles including community nurse, lead nurse, behavioural nurse and locality manager. He has, prior to recently re-joining the NHS, worked in the independent sector as head of behavioural support. Simon studied at the Tizard Centre for his Masters in Intellectual and Development Disabilities and is also a qualified behaviour analyst. Steven is an emergency medicine consultant working for Western Sussex NHS Foundation Trust. Having trained at St George’s Hospital Medical School in London, Steven completed training posts in the south, across the Severn deanery, Sydney and Christchurch New Zealand before becoming a consultant in Chichester. Steven has been involved in several guidelines adapting NICE guidance for emergency departments and the Royal College of Emergency Medicine (RCEM). Within RCEM, Steven has been a member of the Audit and Standards Committee and has been the college representative to the Resus Council. Steven administers and delivers a middle grade doctor teaching programme. This includes evidence-based teaching and regular simulation teaching. It is designed to upskill individuals to function at registrar level within the emergency department and gain places on the national training programme. He has recently been appointed the RCEM simulation teaching lead for the region and is part of the faculty for the College Leadership Training programme. This is designed to train future emergency medicine doctors in leadership, a novel programme which may be a world first. Steven was a guideline group development member for CG191 on diagnosis and management of pneumonia. He is currently on the panel of clinical experts. He has also been a co-opted specialist adviser to the Department of Health for the new and emerging respiratory threats group, advising on pandemic flu response. Steven will use his fellowship to strengthen the links between NICE, RCEM and both its training and non-training grade doctors. Steven intends to create a toolkit of practical resources to enable individuals and organisations to better access the guidance available from NICE. Alison is a consultant community paediatrician based in Cambridge and clinical director for Children and Young People in Cambridgeshire Community Services NHS Trust. She did her pre-clinical degree at Newnham College, Cambridge and clinical training at Oxford. Immediately specialising in paediatric medicine, she held posts in Bath, Oxford and Great Ormond Street Hospital. Alison did her clinical research fellowship in neuromuscular disease whilst working at the Hammersmith and Queen Charlotte’s Hospitals in London. Alison is chair of the East of England Neurodisability Group and, through the Community Paediatric Regional Network, has initiated a number of regional audits and written best practice clinical guidelines in line with NICE guidance. Within her large community trust she has been promoting the development of new models of care and integrated pathways for children with long term health conditions. The clinical teams in the trust are leading the way with community outcome measures and goal setting. Alison will use her fellowship to develop the web-based risk management system further. This system will log new NICE guidance and alert clinicians to changes. The app links to the self-assessment template and so allows easy completion and monitoring. Clinicians and corporate teams are able to monitor the evidence of compliance and can, at any time, produce the assurance of high quality clinical standards. Above all, whilst participating in the fellowship programme, Alison will be an advocate and voice for children and young people. 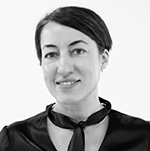 Cecilia has been a consultant ophthalmic surgeon at Manchester Royal Eye Hospital (MREH) since 2002. She runs a specialist tertiary referral service for complex adult and paediatric glaucoma. She is clinical lead for anterior segment services at MREH and associate clinical director of the Eye Hospital. Her research interest is mainly clinical, including diagnostic and treatment methods for glaucoma in adults and children. Cecilia has been a member of several NICE working groups including the glaucoma guideline development group 2009 and 2017, glaucoma quality standards group 2010, and glaucoma commissioning group 2010. In her role as NICE Fellow Cecilia aims to improve the uptake of our glaucoma guidance. This will assist in reconciling the demands and capacity of glaucoma services. The barriers faced in implementing NICE Guidance, and the differences experienced by large teaching hospitals versus smaller hospitals, has already been studied by NICE Scholar Reshma Thampy. This learning will be applied to Cecilia’s project to support ophthalmic care providers and commissioners in overcoming these hurdles, and tools will be developed to facilitate implementation of our guidance. Debra has been working for the past two years as a specialist antimicrobial prescribing adviser for ABMU Health Board in Wales, leading the successful multidisciplinary “Big Fight Campaign”. This initiative, funded by the Welsh Government, has seen improvement in Antimicrobial Stewardship across primary care. This has resulted in more appropriate use of antibiotics, as part of a wider national strategy to tackle the growing threat to society from antimicrobial resistance. A pharmacist by background, Debra’s extensive blend of clinical, operational and commercial experience has been acquired over a number of years in a variety of roles. These include Chief Pharmacist for an NHS organisation in England and a Specialist in Public Health, has involved championing and leading the implementation of our guidance across a range of NHS settings. Debra sees her role as a NICE Fellow as an opportunity to help support individuals and organisations to implement our guidance, particularly in relation to the safe, clinically effective and appropriate prescribing of antibiotics. In addition, by promoting engagement with the public, patients and carers, supporting co-production to change attitudes and beliefs around antibiotic use, ensuring the best chance of winning the war against “superbugs”. 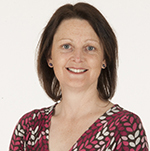 Emma originally qualified as a chartered physiotherapist in 1993. She went on to gain an MSc in musculoskeletal physiotherapy in 2000 at University College London and a PhD in 2014 from the University of Birmingham. She currently works as the consultant musculoskeletal physiotherapist at Burton Hospital NHS Foundation Trust where she leads a team. In 2015, Emma was the first non-medical member of staff to be awarded the ‘Clinician of the year’ award. In addition the trust nominated her for ‘employee of the year’ to the Burton Mail Business Awards 2015 where she was one of three finalists. She was highly commended for her ability to think innovatively and lead a team. Emma’s clinical and research areas of interest are in the management of persistent shoulder pain and differentiating cervical from shoulder pathology. She has recently completed a post doctorate internship at Keele University where she was evaluating suprascapular nerve blocks as a mean of management for shoulder pain. Emma has published in a number of peer reviewed journals and has presented at national and international conferences. She currently is part of the scientific committee for the European Society for Shoulder and Elbow Rehabilitation. In her role as a NICE Fellow, Emma aims to establish if primary and secondary care practitioners in musculoskeletal health are aware of Clinical Knowledge Summaries (CKS), to understand how the CKS are being used and identify what could be changed to further improve their use. Emma anticipates that she will promote the summaries to professional groups who are less aware of the CKS and improve the use of summaries to existing and new users and patients. 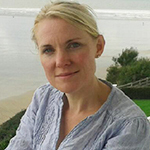 Janet graduated as an occupational therapist from Oxford Brookes University in 1995. She has worked primarily in mental health services, particularly across older people’s mental health services. 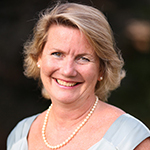 For the past 8 years she has been in professional development and improvement roles, both as a practice development lead for occupational therapy and as professional lead of occupational therapy. During this time Janet completed an MSc in Advanced practice and PGCert in Knowledge Management and Organisational Learning. Janet has led on an organisation wide practice development programme aimed at the implementation of evidence-based and theoretically driven occupational therapy services. She has also co-led on a county wide programme of work bringing together occupational therapists from 4 organisations to align pathways and develop cross organisational working relationships, using improvement methodology. 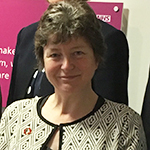 She has been heavily involved in England’s first system-wide Allied Health Professions strategy for the North Cumbria Sustainability and Transformation Partnership. As a NICE fellow, Janet plans to explore the range and relevance of our work to support a system wide enablement strategy across North Cumbria’s Integrated Health and Care System. She will work with our leads, our field team and associates across the health and social care system to implement the NICE Pathway on policy, strategy and commissioning to help change behaviour and use our guidance to inform the development of the system education plan. 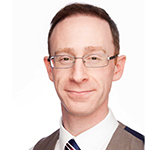 Matthew is a practicing osteopath and head of professional development for the Institute of Osteopathy, the professional membership organisation for UK osteopaths. Since qualifying he has worked in a variety of private healthcare settings, as a health charity Director and in the NHS in a mixture of clinical and management roles. He also now sits on the Public Health England AHP strategic development committee. In his current directorship level role, Matthew is responsible for the delivery of a multiple stream quality improvement and development programme. He is passionate about ensuring the highest possible standards of patient care and is in a unique position to raise awareness of NICE, its products and how to implement those relevant to osteopathy throughout the osteopathic profession. Nicola is a consultant in HIV and sexual health and clinical lead for service development and evaluation within the Umbrella Sexual Health Service for Birmingham and Solihull. Her areas of special interest include service development, quality improvement through feedback, data collection and evaluation and healthcare professional education. She completed the postgraduate certificate in medical education in 2015. As a NICE Scholar in 2015, she utilized real-time monitoring to evaluate uptake of hepatitis B vaccination in at-risk groups. 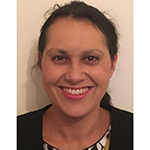 She is currently clinical lead for the Umbrella Primary Care Subgroups for GPs and community pharmacists. She’s passionate about collaboration with community organisations to overcome traditional barriers between disciplines, destigmatise sexual health and HIV and improve patient care and experience. As a NICE Fellow, she will be focusing on increasing awareness and uptake of HIV testing, hepatitis B, hepatitis C and chlamydia screening in primary care, and improving awareness and uptake of contraception. Tessa has been a GP partner since 1995 and for much of this time has also been involved in promoting the safe and effective use of medicines. She was medical advisor to the All Wales Therapeutics and Toxicology Centre for 10 years and involved with various NICE workstreams since 2011. As Chair of the Wales NICE Liaison Group 2016 -18 she worked with colleagues to develop a strategy to support the awareness, discussion and implementation of our guidance to people ‘on the front line’ in all settings. Currently a member of NICE quality standards and indicators advisory committees, clinical guideline update committee (Chair) and management of common infections (Chair). She’s keen to continue working with colleagues to support the cascade of key messages, particularly relating to our quality standards, multimorbidity and managing common infections guidelines. Carol McCrum is a consultant physiotherapist at East Sussex Healthcare NHS Trust and visiting research fellow at University of Brighton. She works clinically within the multidisciplinary teams in rheumatology and orthopaedic outpatient services at the Trust and with the musculoskeletal physiotherapy team. Carol completed her doctorate in 2011 and is active in clinical research and supervision. Carol was a member of the guideline development committee for the recently published NICE guidance on spondyloarthritis in over 16’s: diagnosis and management. This group of inflammatory conditions can be challenging to diagnose and to date the average time from symptom onset to diagnosis has been around 8-9 years, despite significant advances in imaging and treatment. Erika Damato specializes in uveitis and inflammatory eye disease and medical retina and also works in the National Centre of Excellence for Bechet’s disease. Erika trained in general medicine in the South West before embarking on a career in medical ophthalmology at Bristol eye hospital. She then travelled to New Zealand where she worked with the Fred Hollows foundation and undertook a clinical research fellowship in diabetic retinopathy in the Pacific. The aim of the fellowship was to report the severity and significance of diabetic eye disease in this part of the world. In her role as a NICE fellow, Erika aims to improve the care of patients with uveitis and inflammatory eye disease by developing guidelines and auditable pathways for such patients and also by implementing existing NICE guidance into current practice. Patients with medical eye problems often have significant systemic associations and co-morbidities, whose care is often delivered by a multidisciplinary team. Delivery of such care may vary between different institutions. Erika aims to use this opportunity to work together with NICE and help to standardize the care of patients with sight threatening ocular inflammatory conditions irrespective of where they live in the UK. Geeta qualified in India. After doing her masters in Obstetrics and Gynaecology, she moved to the UK in 1995. She completed a 7 year UK speciality training programme from Manchester deanery and started her first consultant post in Manchester in 2003 before moving to North Wales. Her special interests include menstrual disorders, menopause, gynaecological ultrasound, medical education and medical leadership. She completed a PG certificate in clinical leadership with distinction in 2015 and is currently undertaking a senior clinical leadership programme with King’s fund, London. As the current chair of Royal College of Obstetricians and Gynaecologists’ Patient information committee, she leads a multi-professional team working towards improving patient and public education and empowerment. As a member of the NICE Quality Standards Advisory Committee for over 4 years, she has contributed towards development of high quality evidence-based health care standards. Geeta is passionate about the role of service users and carers in decision-making. As a NICE fellow she hopes to become a true ambassador and champion for NICE, trying to ensure education on active patient involvement as well as helping implement an evidence-based approach to healthcare amidst the significant challenges currently faced by the NHS. Jim was Cambridgeshire County Council’s and Cambridgeshire Health Authorities Joint Training organiser in the 1990s, running a broad programme of integrated learning and development programme. In 2000 he led the development of integrated teams across Cambridgeshire's adult social care and health services. He also worked for the Valuing People Support Team as their expert advisor on workforce development. Since joining Skills for Care in 2007 he has led a range of national programmes of workforce Innovation. These include developing a framework for workforce redesign, with the principles of workforce integration, in partnership with ADASS, LGA, NHS employers, TLAP and Skills for Health. His current programme includes workforce commissioning, commissioning for wellbeing qualifications, skills led approaches to community development, transforming care, digital champions and looking at the shared strategic learning and development issues for housing and social care. He will spend his time as a NICE fellow exploring the links between NICE’s work programme and the strategic and operational workforce requirements for adult social care working. He is looking to find ways to use both the work of NICE and Skills for Care across all aspects of adult social care workforce development. Joanna undertook her Masters qualification in Social Work at the University of Leicester. During her social work career she has worked with a wide variety of different people who use social care services, staff in front line, senior management, strategic and commissioning roles. She also worked as a paid carer for several years in her early career. Her more senior roles include working as the Head of Learning Disabilities in a London Borough and latterly as the Associate Director of Social Care for Torbay and South Devon NHS Foundation Trust. This role gives her responsibility for all social work provision, adult safeguarding Deprivation of Liberty and a range of other social care services for a pioneering integrated care organisation. Joanna has a special interest in ensuring that people and communities are in control of services and that they hold the power to control their own lives. Joanna hopes to use her time as a NICE Fellow to practically support the availability of high quality and safe health and social care in the community. She also hopes to use her extensive experience in operational and strategic social care to strengthen NICE’s voice and promote its role in ensuring choice of high quality social care provision that the people who rely on it deserve. 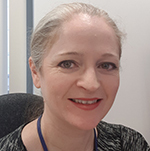 Naomi is responsible for overseeing national programmes of work to support implementation of AHPs into Action, the framework for the 14 allied health professions (AHPs) in England. She works closely with other arm’s length bodies and a range of national and local stakeholders. Naomi is currently on secondment from her substantive role as the North West AHP Workforce Lead, Health Education England, where she is responsible for supporting workforce transformation for AHPs in the region. Naomi will use her time as a NICE fellow to promote the range and relevance of NICE’s work to AHPs. She aims to increase awareness of the NICE guideline development process. She also hopes to broaden understanding of how AHPs and other healthcare professionals can get involved, as well as the role and breadth of NICE’s work. This is with the aim of helping them to improve and transform health and care services. Natasha is a social worker and approved mental health professional (AMHP). She has worked in NHS mental health services for almost 20 years. Her early years were spent working in central London with people who were sleeping rough and had long term mental health conditions. She has managed assertive outreach and AMHP services and was head of social work and social care at Camden and Islington Foundation Trust. She now works for the Care Quality Commission as a head of hospital inspection for mental health, learning disability and substance misuse for the South East of England. Natasha is passionate about the place of social care in health settings and the importance of providing integrated services. She is driven by the desire for social justice and putting people who use services and frontline staff in control. Opinder has been and is currently involved in a number of NICE guidelines, including the NICE Falls Quality Standards and NICE Acute Medicine Clinical Guideline and hopes to use this experience during the fellowship. He is a full time NHS physician, lead clinician in Ortho-Geriatric Medicine Nottingham, with a research interest in vitamin D, muscle function and fractures. Tony started his career as the lead analyst for the North West Public Health Observatory. He contributed to the development of public health intelligence tools at a regional and national level but soon turned his attention to other aspects of public health and health care. He was a founder member of the Cheshire and Merseyside Public Health Collaborative (ChaMPs), sitting on the steering group for the network and setting up the Information and Knowledge Management Group. He is currently a member of the Commissioning Leads Group looking at improving the effectiveness and efficiency of public health commissioning across the sub-region. Tony studied for a degree in Health and Community Studies and later was awarded a Ph.D. in Epidemiology and Prognostic Markers from The University of Liverpool in 2002. He completed the National NHS Leadership Scheme in 2009. Tony is passionate about using research and evidence to improve the quality of health and social care services for local populations. He has worked predominantly in the NHS and academic settings and more recently in Local Authorities. He has extensive experience of public health intelligence and over his career has held a range of subject specific portfolios, including: drugs and alcohol, older people, sexual health, cancer, CVD, suicide prevention, falls prevention and safeguarding. He has significant experience of strategy development, service re-design, pathway development and partnership working.